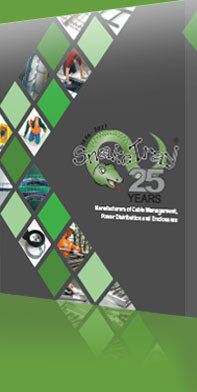 MC Snake Tray is hand bendable and specifically designed to manage MC cables overhead or on walls. 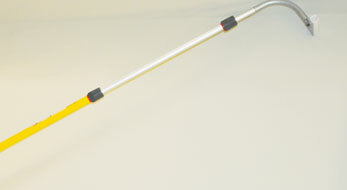 Its patented built-in mounting rings allow for quick installations to concrete decks utilizing a traditional pole gun. 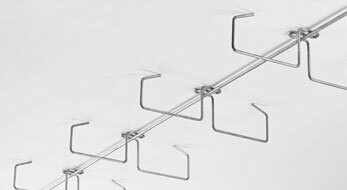 Once installed, MC Snake Tray allows for fast installation of MC cables from the ground with Snake Tray’s adjustable installation pole. 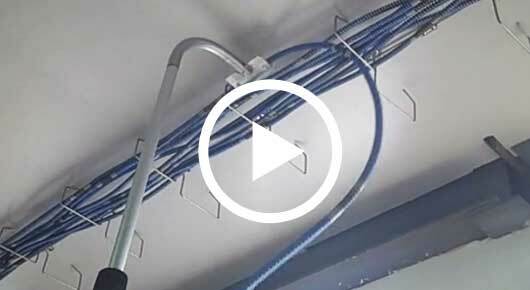 There is never a need to step on a ladder making it the safest and quickest solution for MC cables!